Keith playing Finlandia by Sibelius on the 5-manual Harrison & Harrison Organ of Westminster Abbey during rehearsal. Keith playing Pomp & Circumstance No. 1 in D by Sir Edward Elgar (arr. Edwin Lemare) at Westminster Abbey. Keith plays the beautiful melody Greensleeves (arr. 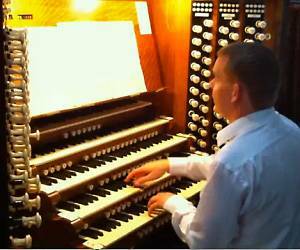 Richard Purvis) on the fine 4-manual 1889 Anneessens/2006 Nicholson Organ of Bridlington Priory. The exuberant Finale from Symphony No. 3 the 'Organ' by Camille Saint-Saëns in a superb transcription by concert organist and composer David Briggs.